I am listening to Ashokan Farewell, the wonderful violin piece written in response to Ken Burns’ Civil War aired on PBS nearly 20 years ago. The music always causes me to reflect upon the Civil War and ask, "What did those 600,000 people who died, die for?" I believe they died to make a nation greater. I believe they died to fulfill a purpose that God set before that generation to bring the Kingdom of God closer to reality. I believe they died to end the curse of slavery from this land. I believe that after generations of people have lived and died, we do not yet know the full implications of those sacrifices. None of us knows the mind of God and all that God intended for those who died, for those who lived, and for the generations which came after that great struggle. The ancestors of the United Church of Christ immediately opened primary schools and colleges for the newly-freed peoples. The United Nation helped win World War I and defeat the Nazis, and end the genocide of World War II. Now 70 years after World War II, what do we have to hold up to the memories of those who died 150+ years ago? We call our political opponents our enemies. A candidate said to his opponent he would "stomp on your face." Our highest leaders fail to call out racial hatred when confronted with words, deeds, and flags celebrating ideas buried a century and a half ago. Local officials make it difficult for minority people to register to vote. Other officials then seek reasons to reduce the number of minorities on the voting rolls. It is a monthly occurrence that a white person calls the police because a black person is: swimming, selling water, babysitting, greeting voters, driving in a white neighborhood, and walking into their own apartment. Thanksgiving became a national holiday in the midst of the Civil War, the war that God used to cause slavery to be vomited from the land. Do we choose the wide path which returns us to a time of rampant hatred or do we choose to walk the path that is narrow and leads to freedom, redemption, grace, and wholeness? For what do we give thanksgiving; allowing distrust and hatred to rise from the mud and spread its stench throughout the land, or to remember that 600,000 people died in a struggle to make the country whole and bring the Kingdom of God close. The people, the nation, the world, and God await our answer. Wednesday, November 21, an Ecumenical Thanksgiving Service will be held at Bethel United Methodist Church (10509 Meggers Road, New Holstein, WI 53061) at 7:00 p.m. 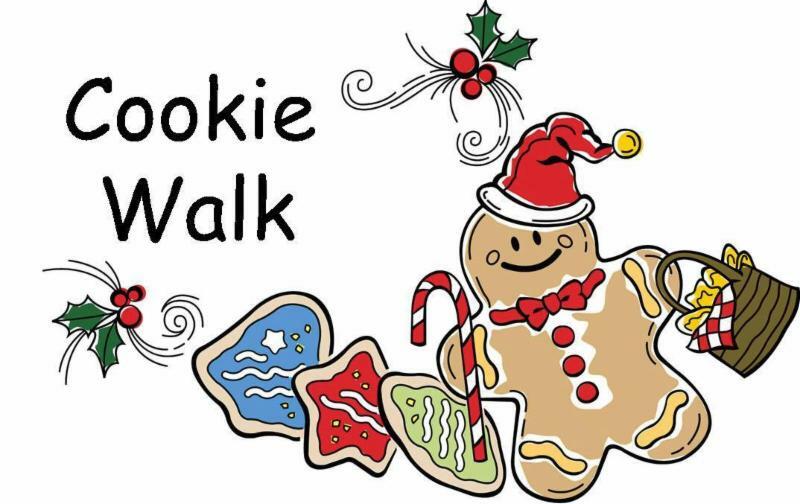 The annual Cookie/Candy Walk will be held on Saturday, December 8, in the Fellowship Hall from 9:00 a.m. to 12:00 p.m. We will be selling cookies, candy and new or gently used Christmas items that you no longer need/want. Drop off for cookies, candy or Christmas items will be on Thursday, December 6, from 5:00 - 7:00 p.m. or anytime that week during regular office hours (10:00 a.m. - 3:00 p.m. Monday through Thursday). Find your favorite recipes and get together with family and friends to make holiday treats for a good cause! 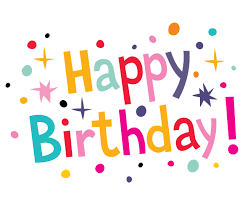 If you have any questions on anything about the sale, need to have cookies/candy picked up, or would like to pre-order any cookies or candy, you can contact Nan Popp at 920-418-0149 or Jeanne Keuler at 920-203-4137. 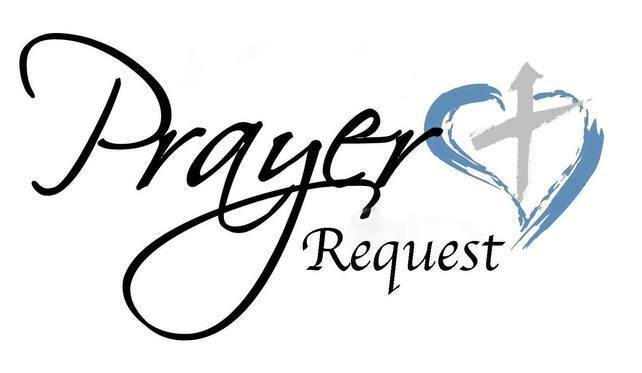 Cash donations are also appreciated and can be dropped off or sent to the church office. Reminder: We will not be having a rummage sale this fall but one is planned for March 2019 . There is limited space in the rummage room so if at all possible, please consider bringing your rummage items then. “ Eternal Father Strong to Save” will be offered by Ebenezer Brass on Sunday, November 11, as a tribute to those who have served in the military or any now serving. It is also stewardship Sunday, so it is a good time for all of us to ponder how we may serve our community, our nation and our church. During the worship on November 18, Katharina Keller will be presented with the Jeris Waldvogel scholarship. She has graciously offered to sing a vocal solo during the worship – thank you and good luck to Katharina. 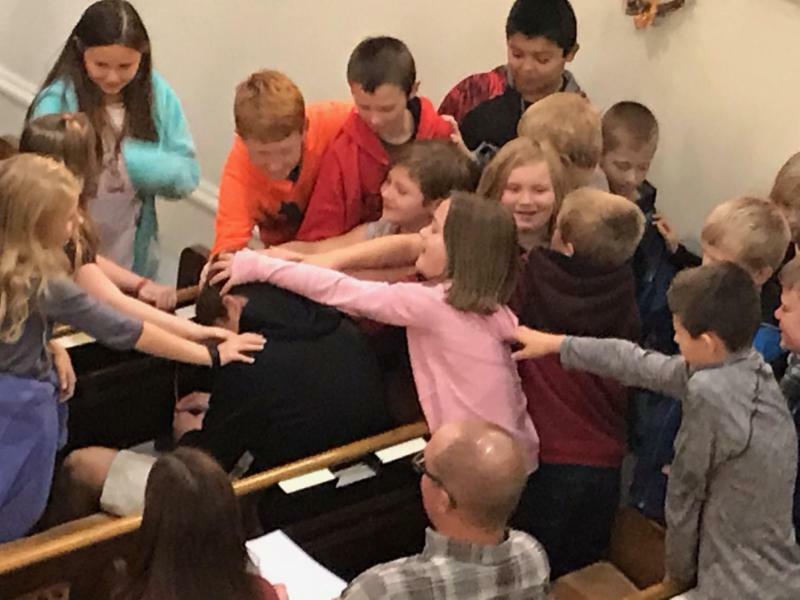 There was a lot of healing going on during Youth Sunday on October 14! Thank you to those who helped out working for the Brat and Burger Fry at Heritage Orchard during the Rural Arts Road Show in October. It was another success, but profits were a little down from previous years. We made $716 to be dispersed between Camp fund, Handbell Choir, Sunday School and Women’s Guild. Opening: The meeting of the Ebenezer Church Council was called to order at 8:05 a.m. by Kelly Brown. Present: Kelly Brown, Colleen Marx, Kari Meyers, Andy Hofmeister and Jamie Plate. Absent: Pastor Mike, Vern Gasch and Dale Hintz. Approval of Agenda: Jamie Plate made a motion to approve the agenda. Kelly Brown seconded. Approval of Minutes: The September 2018 meeting minutes were previously approved via email. Our September revenue was $9,463.63. Our September expenditures were $8,699.98 The Equity as of September 30 was $87,240.68. Our balance as of September 30 was $285,801. 97. Our stocks went up to $35,043.42. Endowment fund is at $213,740.86. Kari Meyers made a motion to accept September financial report Colleen Marx seconded. The motion carried. Kari Meyers made a motion to accept the October bill list. Colleen Marx seconded. The motion carried. Thanksgiving service will be at Bethel United Methodist Church at 7 p.m. Thanksgiving Eve. Christian Education and Music: Sunday school 8 a.m. time gives an improved transition. Attendance is same as last year. Blessing Box is Sunday school mission. Christmas program is December 16. Christmas service schedule: Christmas Eve service at 4 p.m. and 11 p.m. at Ebenezer, and 7 p.m. at St. John. Christmas Day service at Ebenezer at 9 a.m.
Property: Security Luebke roofing will be looking at leaking church roof. Worship Service Recordings: Services can now be recorded. Congregation members who desire a recording should contact the church office with whether they want it via internet or DVD. Church painting: Painting begins in November. Snow removal: Continue with Scott’s Towing providing removal. Next council meeting is on November 18 at 8 a.m.
Adjournment: Kari Meyers made the motion to adjourn the meeting. Colleen Marx seconded. Meeting was adjourned at 8:45 a.m. The committee met on Sunday, October 14. 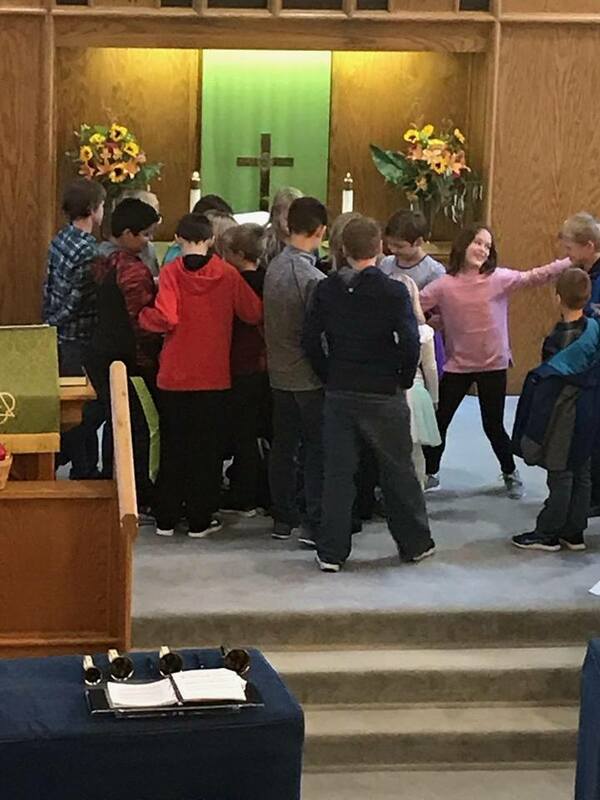 An overview of the Sunday School program was reported. There are about 24 enrolled; however, attendance is sporadic. The 8:00 a.m. start time works better than the 9:45 a.m. (following worship), however they do feel limited in accomplishing all their prepared lessons. Their mission project is to keep the Blessing Box supplied. It appears that more people are coming to the Box, let’s all help to share our blessings. The Sunday School Christmas program will be during worship on December 16. 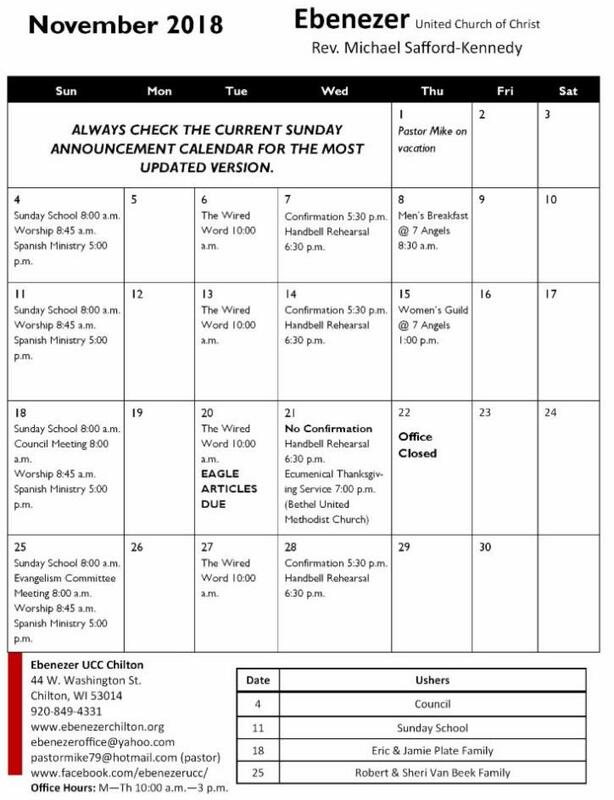 Ebenezer Brass will be playing the 2 Sunday of each month at Ebenezer, and the 3 Sunday at St. John UCC unless scheduled otherwise. They will do a Christmas concert during worship at St. John UCC on December 2, and at 4:00 p.m. at Ebenezer on December 9. All Saints’ Day will be observed on Sunday, November 4, when seven members of Ebenezer will be remembered. 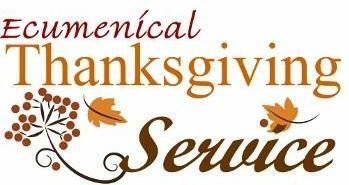 A Thanksgiving Ecumenical Service will be held at Bethel UMC, New Holstein (Meggers), on Wednesday, November 21, at 7:00 p.m. (watch for confirmation of this time). Advent begins on December 2. December 25*: 9:00 a.m. worship at Ebenezer. *Communion will be available at all services. Watch for updates! Thanks to Mary Thompson for faithfully watering the plants at Ebenezer every week. Would anyone be willing to help her out? Painting: Painting of the church will be happening in November. Thank you for all of the donations that have already come in! There will be at least 1 service where we will need to accommodate the scaffolding and move pews, but it will be worth it in the end! Please make sure to write a note on the pad on Sunday mornings if you need to communicate with the office. Pastor Mike is a little preoccupied on Sundays, so please use the pad to assure these tasks are completed. Thank you!!! Thank you to all that responded to the nearly empty Blessing Box in mid-October! We appreciate all the help in keeping this box full for those in need, so please continue to help stock it whenever you can. If you have any questions, contact the church office . Handbell Practice: Wednesdays at 6:30 p.m. Anyone is welcome to join; contact Jill Sippel at 920-418-1534 with questions! All Saints' Sunday will be November 4. 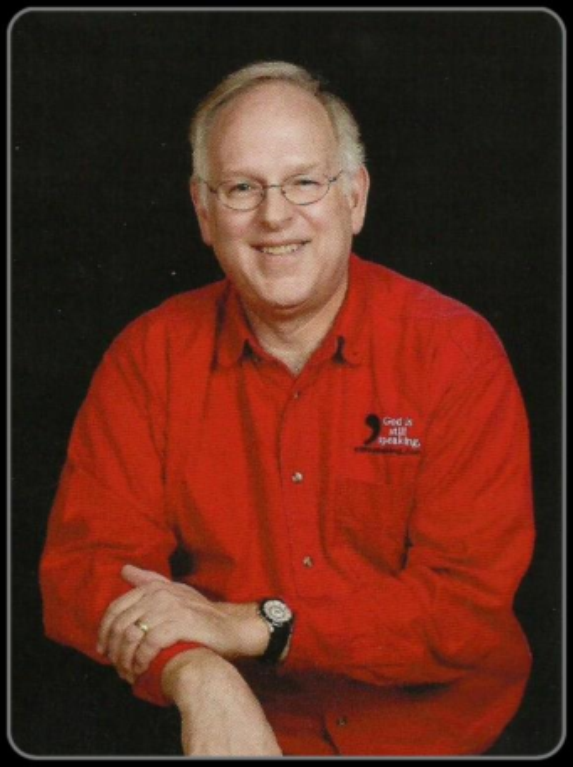 The Jeris Waldvogel Scholarship will be presented during the November 18 service. The Evangelism Committee is meeting on Sunday, November 25, at 8:00 a.m. We are always looking for new members so please join us! Starting Friday, November 30, Lakeshore United Methodist Church in Manitowoc will again be hosting 'The Wonder of Christmas' nativity scene. Click here or see the board for details. There is No Confirmation on Wednesday, November 21. Wednesday, November 21, an Ecumenical Thanksgiving Service will be held at Bethel United Methodist Church (10509 Meggers Road, New Holstein, WI 53061.) at 7:00 p.m. The church office will be closed on Thursday, November 22. 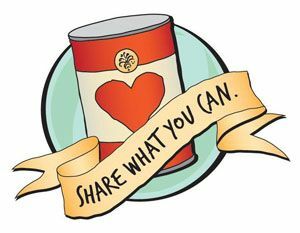 Drop off for cookies, candy or Christmas items will be on Thursday, December 6, from 5:00 - 7:00 p.m. or anytime during regular office hours (10:00 a.m. - 3:00 p.m. Monday through Thursday) the week of December 3. Tentative dates have been set for Handbell Christmas Concerts: Sunday, December 2 (St. John UCC) during the 10:15 a.m. service with coffee hour to follow, and Sunday, December 9, (EUCC) at 4 p.m. followed by food & fellowship in Fellowship Hall. Dates/locations/times for the ADRC Tai Chi Classes can be found on the board. The Lakeland University Fall program schedule has been posted to the board. The November/December Upper Room devotional guide is available in the Narthex book rack. Help yourself! for volunteering her time in the office on Monday, October 29 & Tuesday, October 30, so that Jackie could spend some time unpacking at their new home!